All Provider Applications must be submitted to the Early Learning Coalition of Brevard County for processing. Once all required documentation has been obtained and the application is processed, Provider Agreements will be sent to Approved VPK Providers. Please contact your Provider Relations Coordinator at the Early Learning Coalition for information. 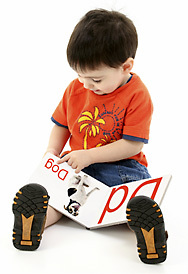 More information on the Voluntary Pre-Kindergarten Program can be found at www.vpkflorida.org. Para más información, visite: www.vpkflorida.org. Download the Examples & VPK Absence Chart. Download the Attendance Advance Summary. Download the VPK Provider Enrollment Form. This form will be used to list the children who will be attending your VPK program in order to receive confirmation numbers from the Coalition. As part of the continuing communication of policy and guidance for the Voluntary Pre-Kindergarten Education Program, the Coalition has issued new forms to be used in conjunction with the Notification Requirements for the Voluntary Pre-Kindergarten Program. It is our hope that these uniform documents will be helpful in communicating changes in your VPK program to the Coalition. Please download the forms below. To request program changes, please submit a VPK-10 Form for approval. To request classroom changes, please submit a VPK-11A and VPK-11B Forms. The Department of Education has resources and tools for customizing VPK education in alignment with the VPK Standards. Visit: Bright Beginnings for more information. Providers in need of the Brevard Public School District substitute teacher list should contact their ELC Provider Contract Coordinator. Rule development workshops regarding rules for VPK providers on probation and the VPK Pilot are anticipated to take place in January, 2012. The following web site may be accessed by interested parties to keep an eye on as Florida’s Office of Early Learning goes through the rulemaking process on the VPK Low-Performing Provider rules and the VPK Pilot Project rule. The website provides teachers and parents with resources to help children in VPK through third grade, succeed in reading and mathematics. The VPK Teacher Toolkit is created based upon what stakeholders have shared as areas they would like more information on. The direction of each topic is the result of a workgroup that includes stakeholders from across the state, as well as national experts. The information in each folder includes information and footage from real VPK classrooms across the state. New information and resources will be added to folders as it becomes available. The VPK Assessment includes progress monitoring measures in the areas of Print Knowledge, Phonological Awareness, Mathematics, and Oral Language/Vocabulary that are aligned with the VPK Education Standards.